Tested to the stringent EN 1143-1 burglar resistance standard, the Atlas Grade 6 provides certified protection for up to €220,000 in cash. 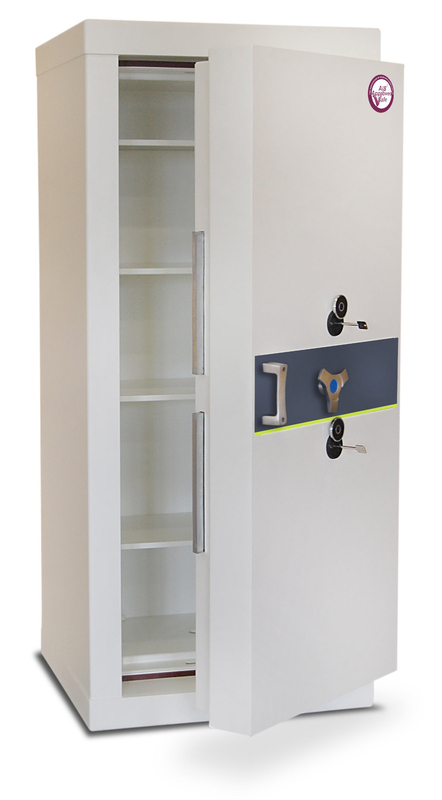 The body is constructed from robust steel and features a double-wall design with a special security composite infill providing protection against even the most sophisticated of safe-breaking tools. 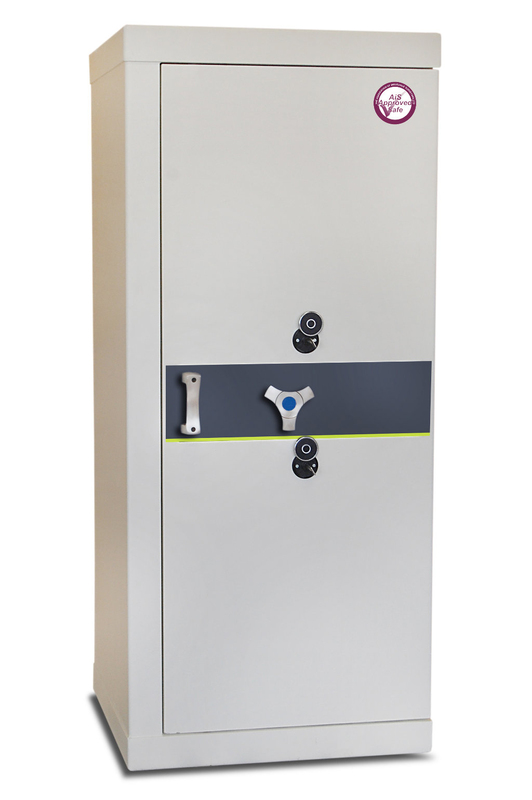 These high capacity safes are secured by three way rectangular boltwork, much more secure than the traditional circular bolts seen on other safes. 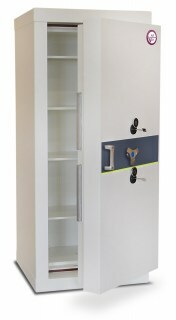 Dual key locking is standard on all models, and all keylock are certified to EN 1300 Class 3. 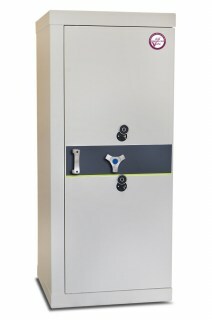 Relocking devices within the door seal the safe tightly if an attempt is made to force it open, while the locking mechanism is protected by drill-resistant plating. Available in three sizes, all of which come with adjustable shelving. Other optional upgrades include electronic time locks and fingerprint scanning locks.